About 200 residents of Tanjung Court Condominium in Bandar Baru Air Itam, Penang, wore black T-shirts as a mark of protest and to voice the frustration over two issues plaguing the condominium. The issues highlighted were the poor maintenance of the high-rise and concern over the 99-year lease which will expire in about 70 years’ time. Bukit Gelugor MP Ramkarpal Singh, Paya Terubong assemblyman Yeoh Soon Hin and Seri Delima assemblyman R.S.N. Rayer, who were present although not invited, received a lukewarm reception from the residents yesterday. Tanjung Court Residents Association chairman K. Suthakar said they would give Ramkarpal and Yeoh a report card with a ‘C-minus’ for failing to solve their problems although they were highlighted to them many times. “Ramkarpal only gave promises but nothing has been solved. “Although he recommended a lawyer from Kuala Lumpur to take up our case, we are not able to do it as we don’t have the money to pay the lawyer,” he added. 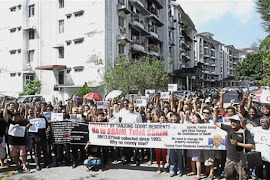 Tanjung Court residents, he said, had paid RM13.075mil in maintenance fees to Bandar Baru Air Itam Management (BBAIM) Sdn Bhd since 1993 but nothing was done to upkeep the apartment. The residents also brought up issues such as the worsening condition of the lifts, faulty access card system, lax supervision of contractors and huge outstanding bills to the Penang Water Supply Corporation. They also said the apartment buildings had not been painted since 1993 and that repairs and maintenance works were moving at a snail’s pace. The Tanjung Court has 14 blocks of 672 units with 3,000 residents. 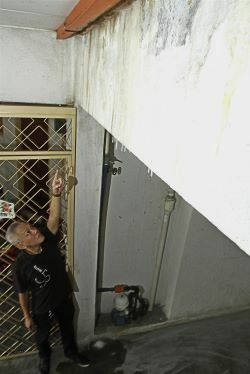 Lim Yoong Loon, 52, who owns a unit on the sixth floor, said the roof had been leaking for almost a year and water would seep into the rooms when it rains. “I have reported this to the BBAIM as a few of us on the top floor are affected by this problem. 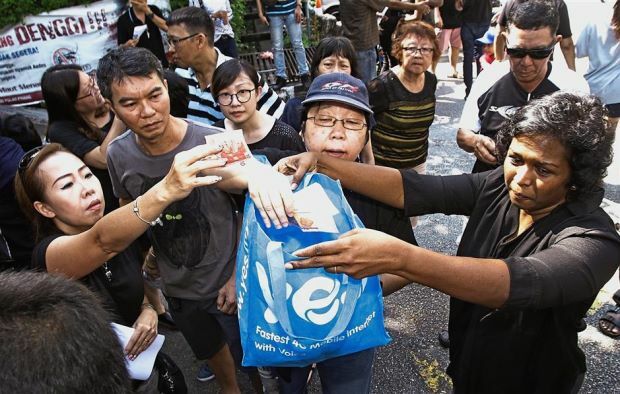 “However, the management has not taken any action,” said Lim, who runs a freight forwarding firm. 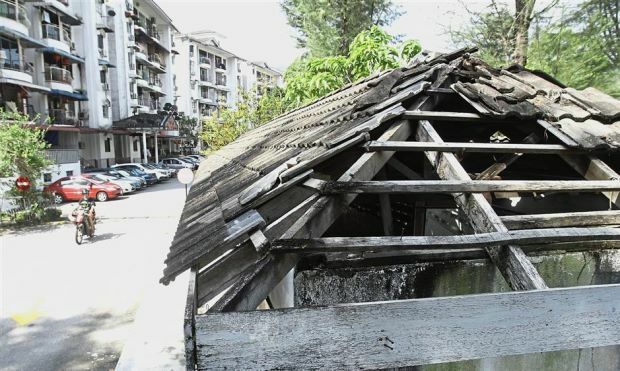 The residents then made a request for RM10mil from the state and another RM5mil each from the Farlim Group and Khoo Kongsi to undertake the repairs, replacements and repainting of all the apartment blocks at Bandar Baru Air Itam. Some of the unit owners also feared that they may lose their units when the remaining lease expires in about 70 years as the state and the Farlim Group had not done anything to allay their fears.